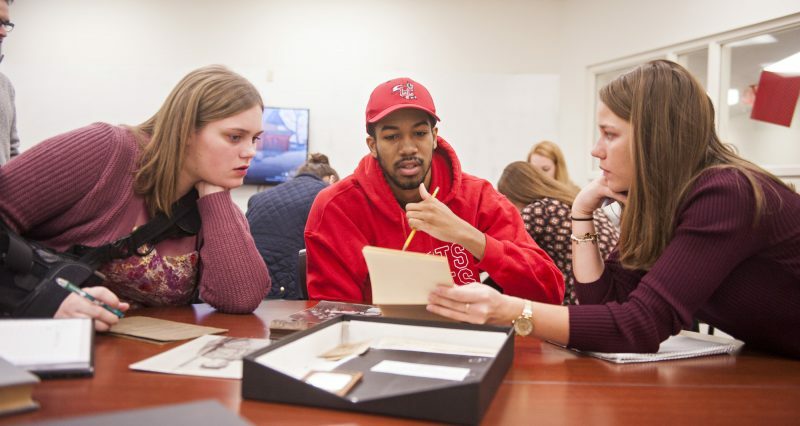 Every Friday, a group of University of Lynchburg students peer closely at small pieces of people’s lives from the Civil War era. Word by word, they transcribe script writing from 150-year-old letters and diaries, and they study the details of photographs. A letter from a Confederate prisoner of war reveals his distress at hearing of Robert E. Lee’s surrender. A portrait of a soldier shows a stern impression. Later this year, the entire collection of documents will be available online for history buffs and researchers alike. Friday classes are devoted to studying and transcribing the documents. Four students have taken on additional work by scanning the original pages to create the digital exhibition. 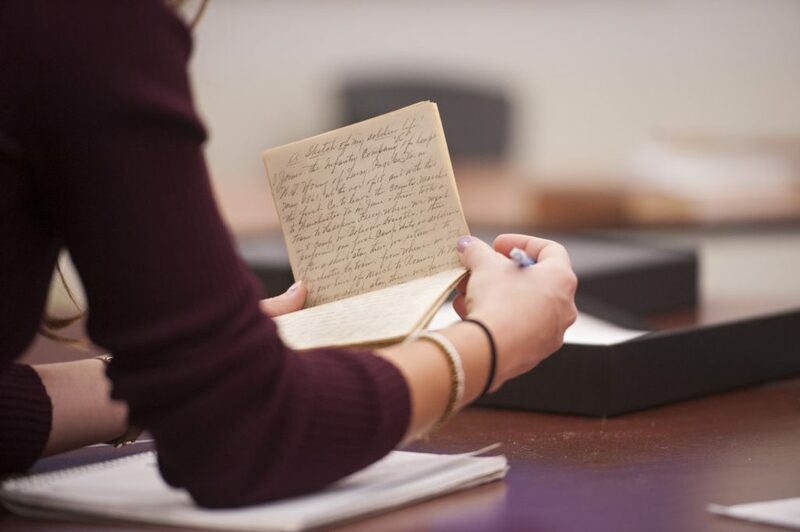 The hands-on history work is teaching the students valuable skills that museums and research organizations look for in employees, such as handling historic documents and creating websites to teach others about history. 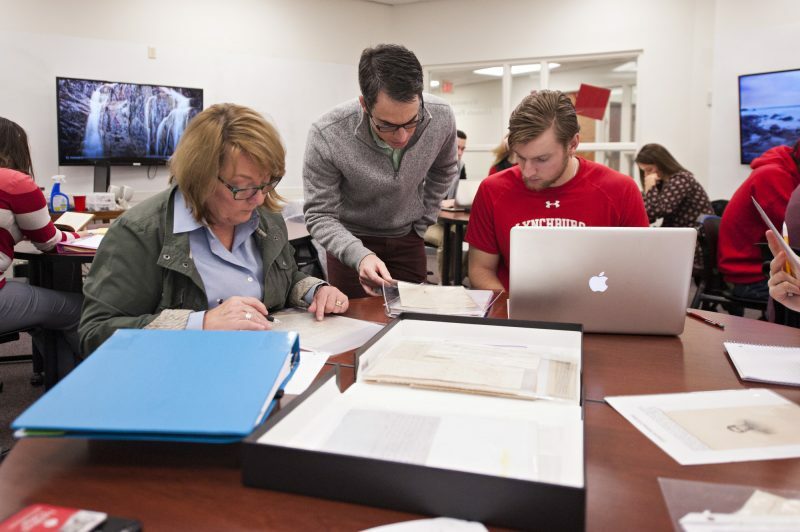 In addition to the more well-known documents related to the Hutter family, which owned Sandusky during the Civil War, the students are studying papers from the Bell family, who lived elsewhere in Lynchburg at the time. These papers have never been studied before, so they provide rich, fresh narratives of life in Lynchburg and on the battlefront. “These are the records of people who are not famous in history books but experienced the Civil War and destruction of slavery on an intimate level.” Dr. Dean said. The students are discovering a lot of documents with medical care in Lynchburg during this era and people’s experiences as prisoners of war. There were documents found that the confederate government would force slaves to work on fortifications around important cities and slaves used this to escape to Union Lines. A history major minoring in art history and museum studies, Laura has worked on art exhibitions in the Daura Gallery before. She said it is important to study and preserve artifacts like Civil War-era letters so people can have a fuller picture of the past. “Understanding history is integral to understanding things that happen today and to making decisions about the future,” she said.